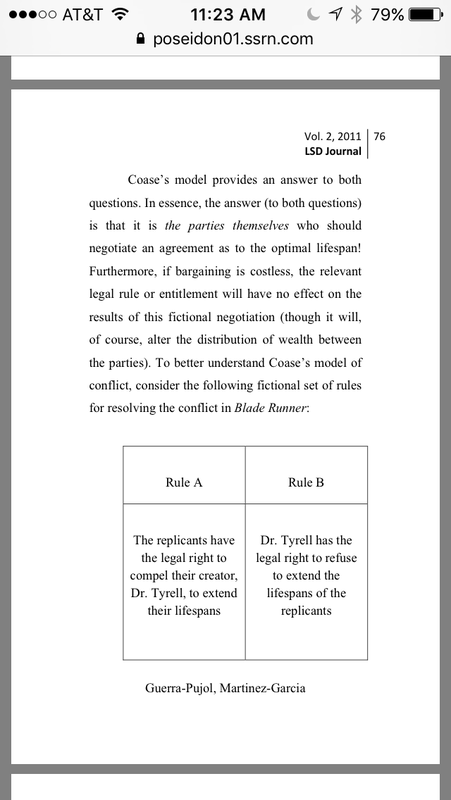 We are interrupting (again) our review of the new Routledge Handbook on Libertarianism to shout out the general release of the new Blade Runner sequel (now showing at a movie house near you! ), which we are hoping to see this weekend. 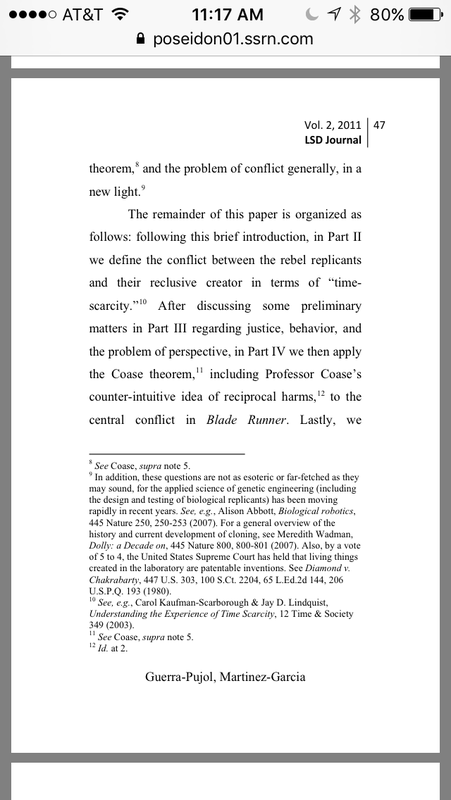 Also, to mark this momentous occasion, we are posting a link to our old paper “Clones and the Coase Theorem,” published in 2011 in the Journal of Law & Social Deviance (LSD). See excerpts below. Enjoy!